It’s beginning to feel a lot like summer! The warmer weather means we’re swapping our boots and slippers for sandals and open-toed shoes. 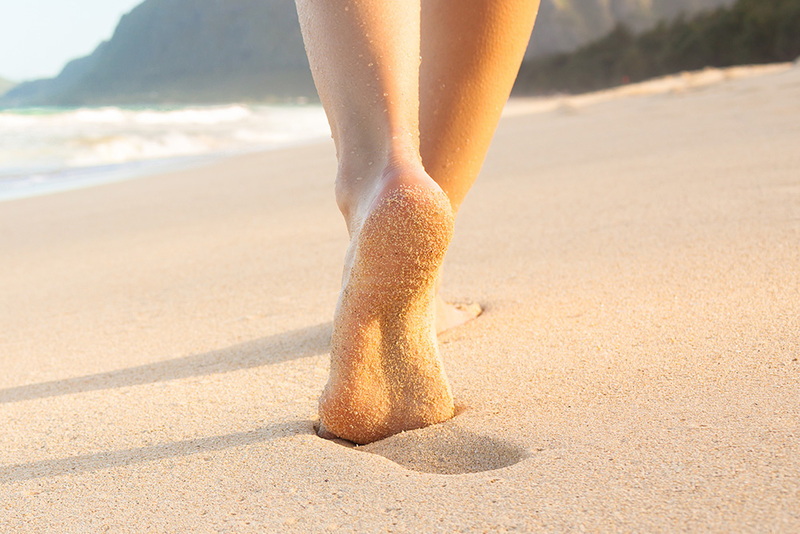 , and whilst nothing beats squishing the sand between your toes on a hot summer’s day, the impending warm weather can leave some of us worried about our cracked heels! Smooth, healthy feet look and feel good. Cracked, dry skin on your feet, especially along your heels, is not only unattractive but can also be painful or itchy. Sometimes feet can become flaky and callused to the point that wearing sandals is out of the question, which could be keeping you uncomfortable in the summertime. Though it’s usually simple to treat dry or cracked heels at home, if the condition becomes severe enough, it warrants a visit to a podiatrist. You can usually treat your cracked heels at home, but some situations call for a podiatrist’s care. Elderly people who develop severe cracks should seek medical attention to prevent ulcers or bedsores from forming. We recommend that you see your podiatrist or doctor if your heels crack and: you are diabetic, have impaired circulation or an autoimmune disorder, or suffer from skin conditions. If you are in good health but home treatment does not heal the cracks or your feet bleed, make an appointment with a foot specialist. Meet Urea cream! If you’ve been looking for a way to soothe your cracked heels this season, we recommend you choose softer feet with this not-so-secret product! Urea is not just a great compound found in facial moisturisers and anti-aging creams but it’s also an excellent solution to cracked heels. Moisturises: Urea draws moisture to the skin and hydrates dry areas making it a great moisturiser and exfoliator. Strengthen skins barriers: Urea keeps the skin’s barrier strong and healthy by renewing and regenerating skin cells. A strong skin barrier can keep out potential irritants. Minimises water loss: Urea absorbs water, but also has a high water content which reduces the amount of water lost through the skins epidermis or outermost layer. Penetration of other products: Urea improves the absorbency and penetration of other skin care products because of how it acts on the skin’s barrier. Concentrations:Urea is also available in different concentrations depending on the condition of your feet. 5-10% urea is great to keep skin moisturised. 15-30% urea is recommended for very hard and dry skin. Now that you know how to achieve beautifully moisturised heels, check out our newest arrivals of summer sandals to show them off! Acacia is a fully adjustable orthotic friendly sandal with stylish perforated leather detailing across the instep. The lightweight sandal will literally pair with any wardrobe choice making it the perfect summer staple. Adonica is the soft suede slip on that ticks all the boxes for this seasons slide trend. With removable insoles for orthotics and adjustable velcro straps, this shoe is perfect for those looking for an stylish slide. The Calais slide is the perfect combination of comfort and ease. The simple slide is made of soft premium leather with removable insoles to accommodate orthotics. The ultimate staple for casual style. Madrid is an orthotics friendly favourite with buttery soft leather and a sleek silhouette. With complimentary strap extensions and padded lining this will be your everyday shoe for everyday activities. For the month of October we are offering 20% off all urea creams! Available at all My FootDr locations.